So although we’re still working through it and he’s continually finding better ways to say what he means, there will be times where he’ll say something that knocks my socks off. It will be a statement where he’s made a connection that I didn’t even know he could make. 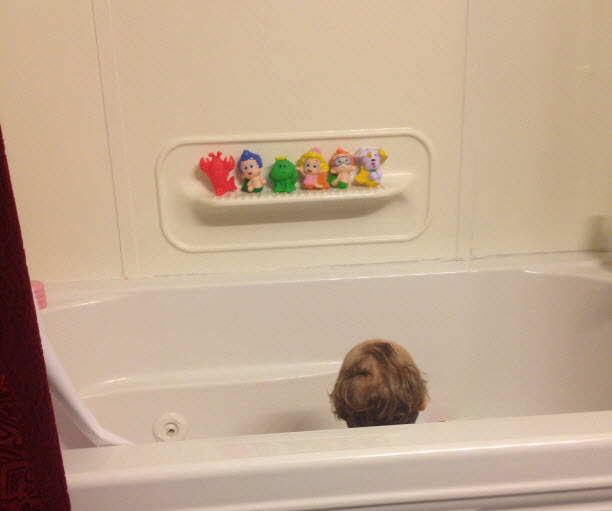 This week’s case-in-point was when he went #2 for the first time on the potty. I’m whooping it up (Jake was in spirit, but he was away on business when it happened), I’m praising him, I’m telling him what a good job he did. All of this he agrees with. He says “Yes!” and “I did it!” He totally gets it. And then he looks at me and says, “I not a baby, mama.” And I almost fell over. I haven’t made a big deal of distinguishing what babies do and what big boys do, because we just started this process and I didn’t want to make him feel bad about doing what babies do before he even has a chance to try. So it came as a shock when he made that association all on his own. Which is so great. And so bittersweet. Great because he gets it. Sad because….I finally get it. I was waiting for him to get here for so long. And now I just want to pause time. Don’t grow up so fast! So that’s all I’ll say about the potty training business for now. This isn’t the post about that. But let’s talk about this purple guppy. Today was an example of me underestimating his language abilities and thinking, “He’s just mixed up,” when he totally wasn’t. Before we leave for daycare/work, I ask him to go find a book to read in the car. He looks around his books, and then says to me, “No, I want the purple guppy, mama.” And then he points upstairs to his room. 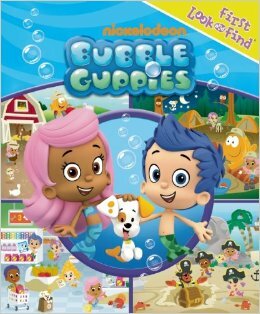 We were just reading a seek and find Bubble Guppy book last night, so I assumed that’s what he meant. See Exhibit A.
I looked at the book, and finally realized why the purple association was made. Molly’s hat and coat are purple. I mean, it wasn’t the clearest association to me at first, but I guess that’s an appropriate description of the book for a 2.5 year old. See Exhibit B. In the end, he remained determined and I got there. It was a good lesson in not underestimating my little man, and also looking at things through the eyes of someone else. 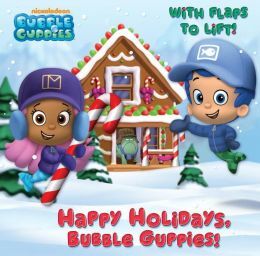 Do you have any “purple guppy” moments? I find this all so interesting. Share away!